Susanna thought her husband, the Reverend, the worst public speaker in the universe. Whenever he climbed into the pulpit, he underwent a personality change: those unfunny anecdotes, the sepulchral voice, and the platitudes. True, she couldn’t wear her sandals anymore due to her feet turning cloven. So clever and funny you are! I loved this; definitely had me laughing…great line “temptation expands in proportion to self-denial.” Isn’t that the truth? Always has been for me. You’ve entertained for the day. Go enjoy the rest of it. Thank you, Bill. I’m so happy I made you laugh 😀 To tell the truth, this story is partially based on experience. I often daydream about shoes during boring sermons. I always so enjoy making you laugh, but hope I didn’t cause you to spill your coffee! There’s something in the air at the moment that’s compelling me to write funny rather than dark stories. I guess it’s a sort of madness come over me that helps me banish my potential blues over how surreal the world has been of late. Who knows? That had me laugh out loud, too. Didn’t see it coming, great fun. The laughter in this story is infectious. Well written, Sarah. Thank you, Neel 🙂 So much laughter today! What could be better? Thank you for the very welcomed cackles, dearest Sarah. You completely set me up, and the end landed deliciously on the non-paining bit of my funny bone. Thank you, Magaly. With glee, I hear your cackles 🙂 The end came as a surprise to me, too. I love being a pantser rather than a plotter when it comes to writing, as it’s such fun when my fictional characters hit me with a twist I wasn’t expecting. Being raised Catholic, I remember letting my mind take me ANYWHERE during sermons. Too young for thoughts of high heels, though. Great take on the prompt. I remember daydreaming during sermons in the school chapel about pop stars and actors that I fancied. You crack me up, Sarah. I need to start taking humor lessons from you. Hey Russell, what a compliment from the King of Humor! I’m glad my humor doesn’t seem to get me into trouble as much as it did in my school days. I was raised on a Brit diet of Monty Python, Fawlty Towers, Jaspar Carrot, and Dave Allen. I’m guessing this had a big influence. I’m sure it did. I watched a lot of those same shows. Probably my biggest influence though was the cartoons I watched as kid. Shows like Rocky & Bullwinkle, Underdog, and Popeye had a lot of underlying adult humor. They say you are what you eat. The same is true for what your brain ingests. At least that’s my excuse. I ought to check for my own cloven feet; the sight of those shoes instantly provoked the cardinal sin of Envy… 🙂 As does your flair for stories that end in the perfect punch! p.s. my new site is up; hopefully I’ll be adding more to it soon! Thanks, Sunshine 🙂 I didn’t have a problem with Envy, as I took one look at those shoes and thought of not provoking my slight bunions into huge and crippling ones! PS I’m confused. I went to Blog Ground, but that’s not new. Is your real name Frances? Well that is Very weird; I’m a member of Blog Ground but that’s my friend Frances’ site! No, the new site is shesperjansen.com… Thanks for letting me know this quirk; now to figure out how to fix it! I am sure this is true for many a vicar’s wife. And for many a vicar, too. I love you little story. Thank you, Otto 🙂 Yes, this story was inspired by real life, in one way and another! I didn’t expect that twist at the end. Good story. Such a clever take on the prompt. Loved it. Thank you, Michael 🙂 I think the world is in particular need of some healthful loud laughs at the moment, so I’m glad that I’ve succeeded on that front! That’s a killer of a last line! How does she hide her cloven hooves in the bedroom? Wonderful story. Enjoyed the Lenten build of tension: denial causing more temptation. And shoes are necessary rather than frivolous so why not dream about them? If the sermons weren’t so long…. I just realised my comment done distappeared! I love your stories, Sarah. Long sermons and dreaming our way through them… but cloven feet? Was not expecting that one!! It’s annoying when comments disappear, especially if they’re long one. I’m glad you loved this story, Dale. Nobody was expecting the cloven feet. They kind of took me by surprise, too. 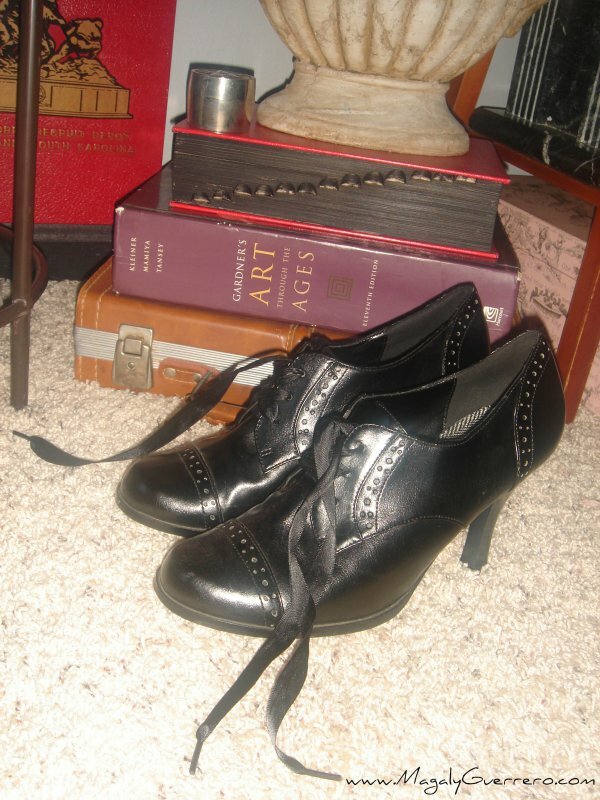 Just to put your mind at rest, I don’t have cloven feet, despite sometimes dreaming of shoes during sermons! Dreaming about shoes? I would never be bored enough to dream about that, but to each her own. 😉 Nice one! A wonderfully seasonal piece that made me smile.